The genus Vibrio is among the oldest still recognized by bacteriology. Taxonomy was reviewed by Baumann et al. (1984) who listed 20 species; more recently, Farmer and Hickman-Brenner (1992) listed 34 species. However, not all of these have been isolated from clinical material. 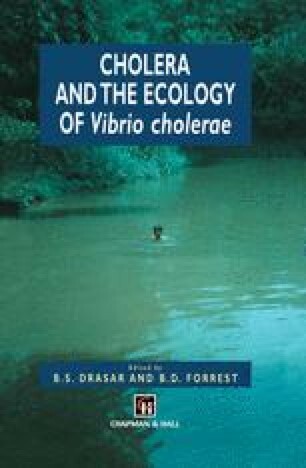 These studies illustrate the way in which our knowledge of the genus Vibrio has advanced. Until recently, Vibrio consisted of a heterogenous and poorly described group of organisms. However, a more strict definition of the genus, coupled with the transfer of some members to other well-understood groups, has allowed the taxonomy to be clarified. Some, such as Campylobacter, have been transferred to their own genera.